There’s officially snowfall in the forecast and we even had a few flurries last weekend! Some people are celebrating, while others are in denial. 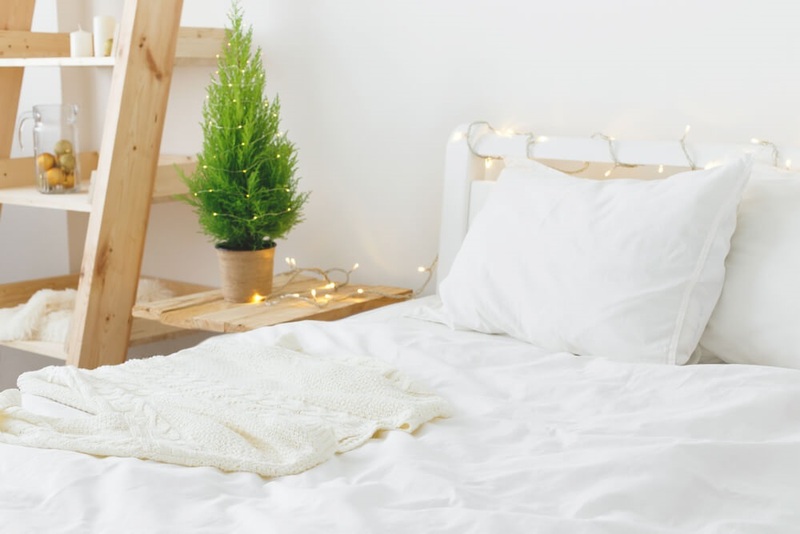 For the latter, we’re sharing a few decor tips to help ensure your bedroom is as cozy as possible this winter. If you haven’t already, it’s time to get out the thickest, fluffiest comforter you have. If you don’t have one, buy one. After a long, cold day, you should look forward to crawling into the coziest bed imaginable. While you’re at it, get some new large pillows, too. If you want to go the extra mile, a faux fur throw never hurt anybody. While we love a white, minimal space with a lack of colour can come across as cold. That’s not what you want during the winter. 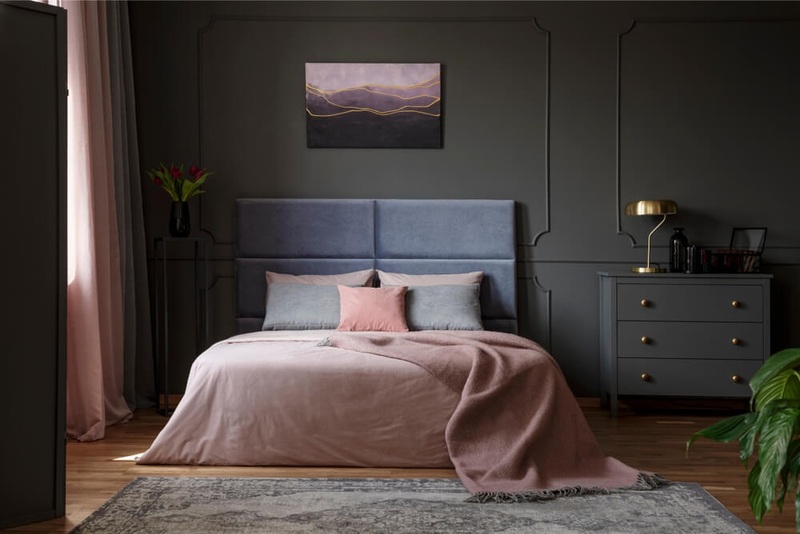 You can bring some dark colours into your bedroom with your bedding, art, accent chair, or paint a feature wall. Once you’re surrounded by some dark colours, you’ll feel just like a bear in hibernation. Again, we love clean, smooth surfaces, but this can come across as cold, too. To warm things up, add texture anywhere you can – new art pieces, extra sheets, throw pillows, flooring, etc. It can get tricky adding a lot of texture, so make sure the designs complement each other. If you have hardwood or laminate flooring in your bedroom, you definitely need an area rug. This isn’t even a winter thing, it’s an all-year thing. 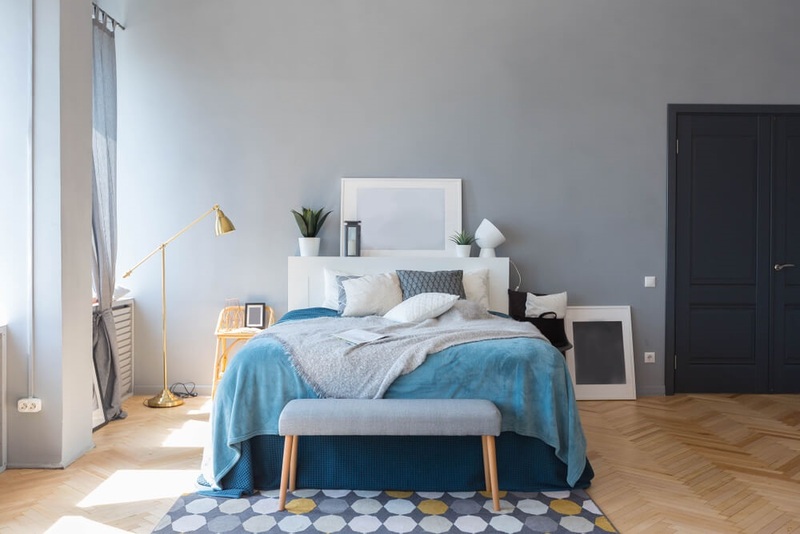 We love the look of hardwood in the bedroom, but you don’t want to feel a cold floor with the first step you take in the morning. If you already have an area rug under your bed, then great. Don’t be afraid to throw a small faux fur rug on top of that. No one’s going to judge you for two rugs. The layers will look cozy, and better yet, it will really warm up the look of the room. Those who hate the snow are often scrooges when it comes to the holidays. 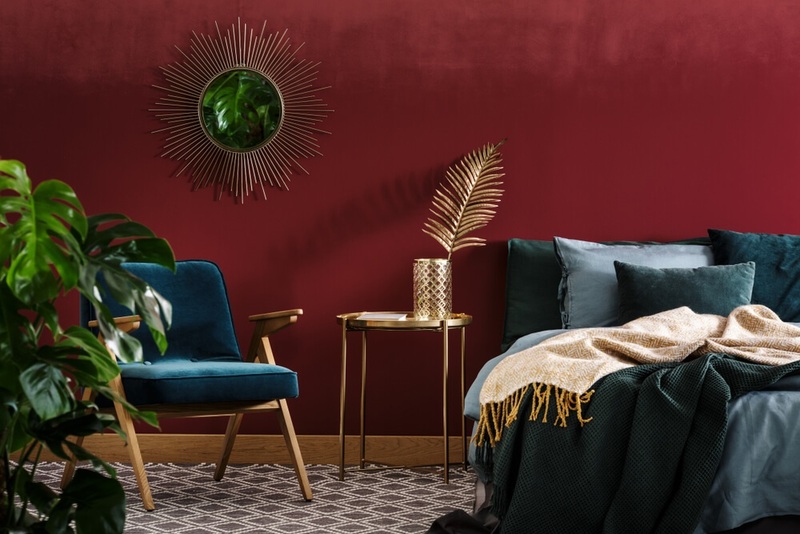 We say embrace the holiday vibe – don’t let it make your bedroom look and feel even colder. There are tasteful ways to embrace holiday decor (this can be an entire blog post on its own). For example, evergreens are connected to the holidays because of Christmas trees and the fact that they are the only green thing in the winter. 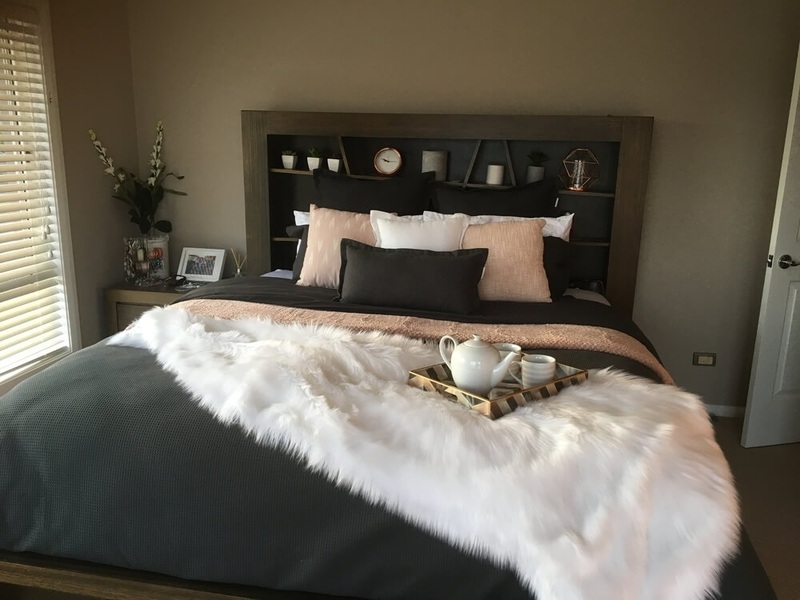 We hope these tips inspire you to give your bedroom a little winter makeover this month in anticipation of the first big snowfall of the season!